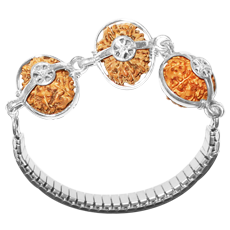 Rudraksha meaning - the eye of Rudra [Shiva] is considered to be the most potent manifestation of the Cosmic Force. 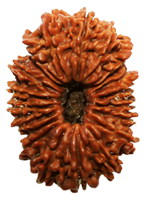 Hence Rudraksha is the object of veneration and also the source to reach the higher self. They emit frequencies that balance human body chakras. Thus they help in healing a person- emotionally, mentally and physically. 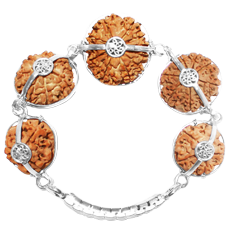 These beads are the seeds of the Rudraksha fruit obtained from Rudraksha trees. The Rudrakasha tree is botanically known as ELAEOCARPUS GANITRUS ROXB. Its English name is UTRASUM BEAD TREE. 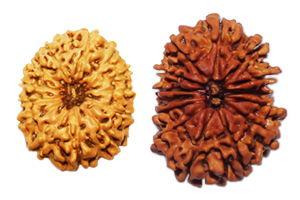 Rudraksha trees are mostly found in South Eastern Asian Islands of Java, Sumatra, Borneo, Bali, Iran, Java, Timor (Indonesia) and parts of South Asian Kingdom of Nepal. 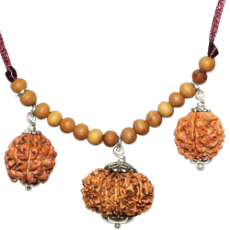 Around 70% of the Rudraksha trees are found in Indonesia, 25% in Nepal and 5% in India. Considered a major stress reliever, reducing circulatory problems and of course as the best beads, the berry (Elaeocarpus Ganitrus) was first spotted in Indonesia and is now grown in Nepal and Haridwar , Srilanka , Malaysia. The compartments are clearly visible in Java & Nepal beads. Natural Hole : Both have natural hole which is a hollow cavity in the centre of the bead, which can be easily cleared manually without need of drilling. 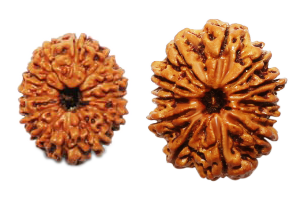 Number of seeds inside : Both have same number of seeds as the mukhi lines. Thus 2 mukhi will have 2 seeds, 8 mukhi will have 8 seeds, 14 mukhi will have 14 seeds etc. 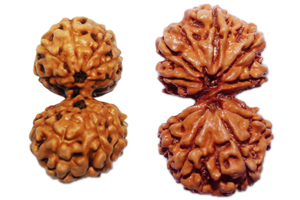 Range of mukhis : Both trees produce the complete range of mukhis from 1 till 21 mukhi, Ganesh, Gauri Shankar, Savar, Trijuti. 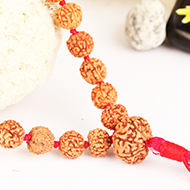 These features are not found in Rudraksha trees in Haridwar or South India/ Srilanka, where the beads are found to have no natural hole, and also a limited variety of mukhis is produced in these trees like 1 mukhi half moon, 2 mukhi, 3 mukhis only, and very few beads of 4,5,6,7 and 8 mukhis, and none higher than this. I found that I actually felt a stronger impact from the java bead which surprised me as it was smaller. The energy from the Nepal bead was also very apparent but different, kind of like the same note but a different octave for those who know music. Also interesting was the energy in both cases felt very similar to that from my red coral. 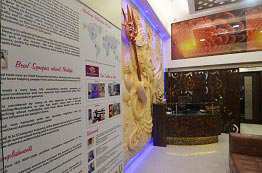 Which is of course for Mars just as the 3 mukhi is also! So it all fits. Also, the difference in type of effect is quite noticeable as compared to the 7 and 14. This experiment has given me faith that the difference in mukhis really does matter and that I am not losing anything if I go with the java beads instead of the nepal beads. 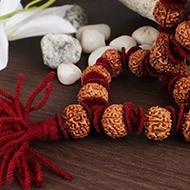 I will say the Nepal bead is more impressive visually, and I cannot rule out that my energy system became attuned to the java rudraksha energy type from the mala I already wear thereby biasing me to feel the java energy more strongly than the nepal. Nepal beads are larger in size, thorny with several projections and having deep clear mukhis. The mukhi lines are embedded deep in the outer surface. Sizes vary from 14mm- 40mm with average size 20mm. Java beads are much smaller in size with smoother surface and mukhi lines visible as white lines from one hole to the other very close to the surface and not etched deep. Sizes vary from 2mm-20mm, with average size 12mm. Scientifically there is no difference between the 2 varieties as they have similar internal structure. It is possible that due to lesser surface area and lesser projections, effects with java beads could be visible after a slightly longer duration than Nepal beads. 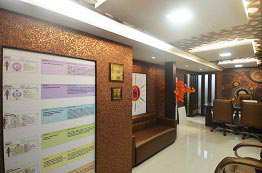 However testimonials and feedbacks received from clients using Nepal Vs Java beads, have been almost similar. Both have reported excellent results. So seems spiritually there is no difference. All japa malas and the rudraksha bead malas ranging in size from 2mm-14mm (normal and chikna variety) come from Indonesia only. 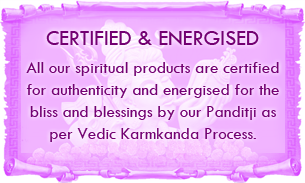 These have been worn since times immemorial for health, spirituality, peace and for mantra japa. 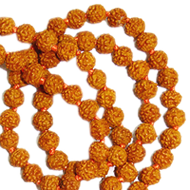 The prices of Rudraksha beads are based on demand and supply. Due to limited areas of production and nature vagaries and increase in demand every year, the prices show a constant increase in both varieties. 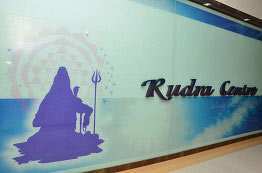 Rudra Centre purchases 90% of the produce of healthy Indonesian beads (in the mukhi variety). 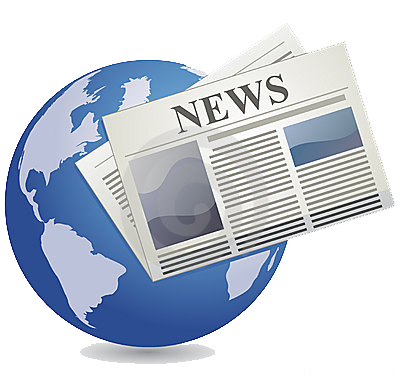 Due to this hold, we are able to keep prices in check. 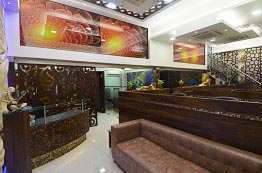 In Nepal beads, inspite of being a major buyer, competition from suppliers in India and also buyers from Japan and China, it is not possible to keep prices in check. However we endeavor to pick the healthiest, ripe and best beads of the season for our esteemed customers. There is often confusion in the mind of buyers about the size of the beads. While Java beads come in average sizes from 4mm- 17 mm, Nepal beads come in sizes from 15mm- 24mm. In Java beads also, the regular sizes are average 15mm and large sizes are average 20mm in mukhis 8 mukhi-21 mukhi. The same for Nepal beads come in range average 22mm for regular and average 28mm for large. Collector beads are those that are above 20mm Java beads and 30mm in Nepal beads. Size has more to do with personal choice. 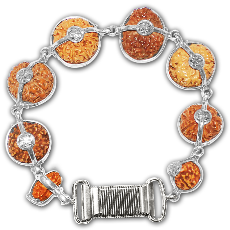 While some prefer Collector beads due to their magnificent beauty, some like the tiny sizes due to ease of wearing. Effect wise, both work the same over an extended length of time. It is possible that larger beads awaken faster to give effects due to increase in surface area. 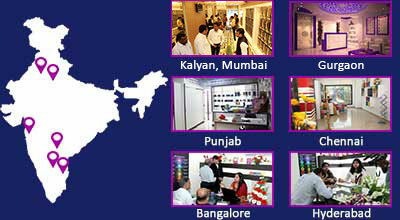 Each bead is tested for genuineness, completeness of mukhis, health, high quality, energy levels and uniformity. The energized beads combination is then ready to be shipped to the client.